When David Gardner moved to Chicago about six years ago, he was a stranger to the city and had few connections. What’s more, his digital tech agency ColorJar was just beginning to take shape. Thanks to his genuine passion for meeting new people and sharing new ideas, David built and cultivated a fruitful network that launched his company in a big way. In today’s episode, he discusses why focusing on the success of others will lead to meaningful and mutually valuable relationships. Uncovering the needs of others to make helpful connections. Why having an outsider’s perspective makes ColorJar an industry standout. How to maintain relationships through a thriving business. 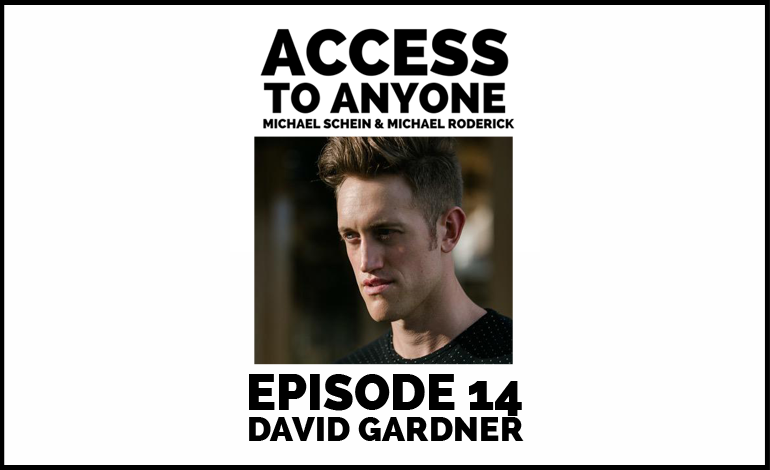 David Gardner is the Founder & CEO of ColorJar, a creative tech agency that has worked with everyone from Fortune500 corporations, to venture-funded startups, and growing private businesses. ColorJar specializes in brand positioning strategy and creating custom websites and mobile apps, and has offices in Chicago, IL and Grand Rapids, MI. In 2014 David was honored at the United Nations by Empact as an Under 35 Entrepreneur of The Year. In 2011, David received the Empact100 award at the White House as one of the Top 100 Entrepreneurs Under 30 in the United States. He has spoken at places such as Google, IBM, Notre Dame, and the United Nations. He is on the advisory board for WeDeliver and a mentor at TechStars, Impact Engine, and Startup Institute. He has also written two videos for the comedy website Funny Or Die.